The world of gluten free has gone crazy over pizza this week (see previous post on new high street chains offering a gluten free option!) and it doesn’t end there! Because I think I’ve just found THE best pizza available in the supermarkets! After all the pizza talk on Tuesday I couldn’t handle the pressure, I had to go straight to Tesco and buy one! Lurking in the freezer aisle, I saw this bad boy and though hey, if it reads Italian on the box, it better be good! This addition from Dietary Specials and Schar is something I haven’t seen before, and I hoped it wasn’t going to let me down. But, being prepared (I always find all supermarket pizzas very sparing on the cheese) I had back up supplies, so I loaded my pizza up with mozarella and pepperoni and was ready to roll! And I have to say, the intial disappointment was forgotten because this pizza was amazing! The base was amazing – it was almost slightly chewy and floppy, yet crispy around the edges, just how it looks on the movies! The flavour was great – especially with the extra cheese – and I devoured this so quickly because it was so yummy! So if you try one pizza while you’re waiting for Dominoes….BUY THIS NOW! 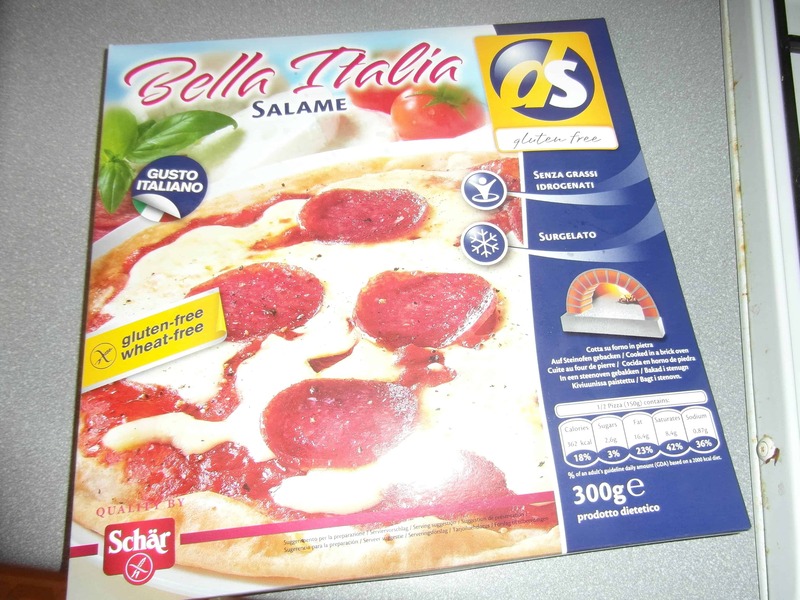 For more info on the Bella Italia Pizza Salame click here. Previous Post Possibly the best day in the world of gluten free….ever? The base looks good – though it’s a real shame you had to add additional topping. Considering the fact that gluten free pizzas are usually more expensive than regular pizzas anyway, having to also buy additional cheese and pepperoni is an expensive option. 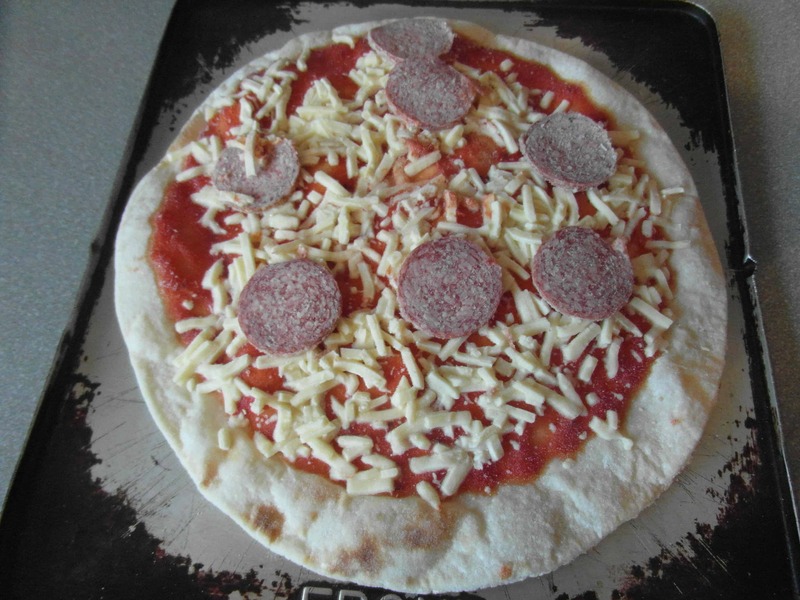 I’m not sure why they’re scrimping on the toppings – let’s face it, you’re not likely to be thinking of healthy eating when you buy a frozen pizza! I must confess I do put a whole block of cheese on pizzas – I like it so oozing that it goes all over the tray and covers the whole oven…..so a pizza would have to do a lot for me not to add more!! Having said that, I do think ALL frozen pizzas (GF and non) are very tight on their toppings!! 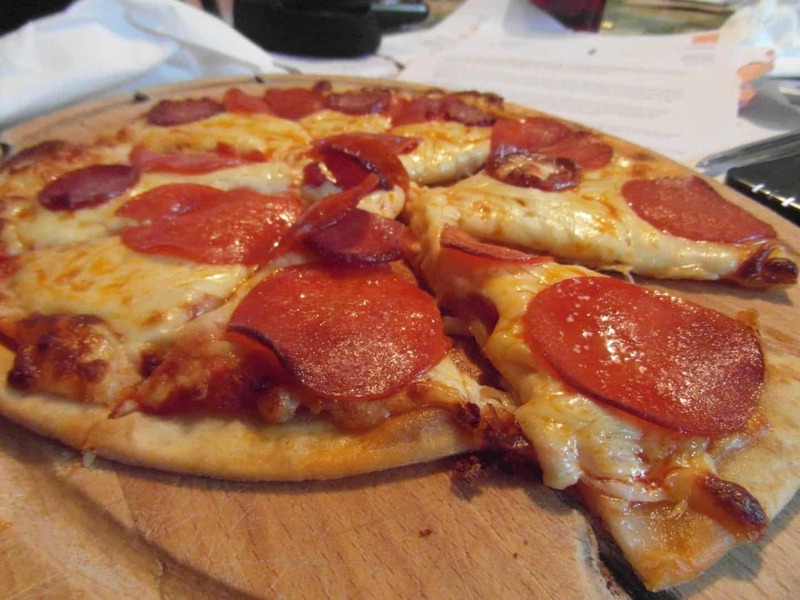 Likewise with pepperoni…..I am just very greedy!! Can’t fault the base though – it’s worth the extra to know you won’t be disappointed in my opinion! That pizza looks great, much better than the ones I’ve seen. I hope I can find it in the stores around me!